The narrative through the first three games centered around how the shorthanded Cavaliers were disrupting Golden State’s impeccable motion offense. All of a sudden, switches weren’t switching, round pegs missed square holes and Draymond Green was a sheep without a shepherd. Toward the end of Game 3, however, you saw the wire starting to recoil. Steph Curry knocked down five three-pointers in the fourth quarter, and David Lee went a perfect 4-of-4 from the field for 11 points and 4 rebounds as Cleveland held off a furious Golden State comeback. Where there are shadows, there is life. Warriors Head Coach Steve Kerr knew an adjustment was necessary, even if LeBron was bound to feel the weight of his effort. Kerr told a lie about his starting lineup prior to Game 4 and then revealed a small-ball set of starters, which many had predicted but which was nevertheless a bit jarring. 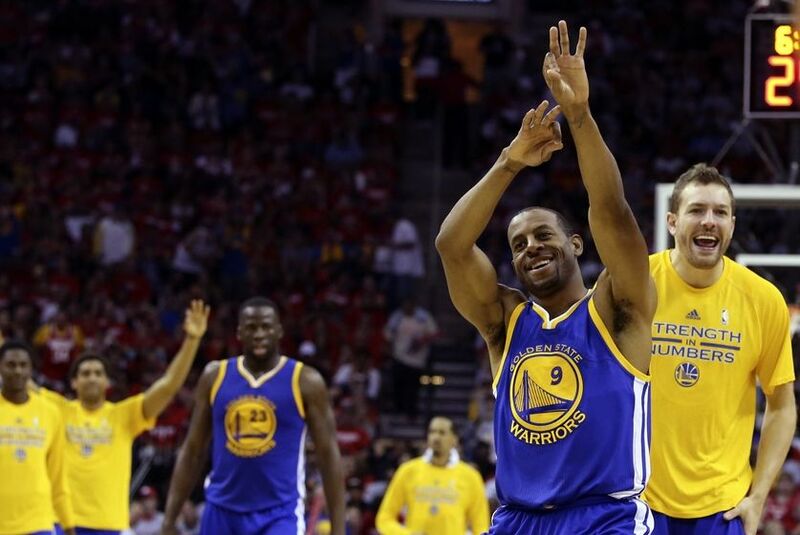 Andre Iguodala would replace Andrew Bogut, with either Iguodala or Draymond Green handling the nominal center duties. Iggy hadn’t started all season, and despite being the key bench contributor during these playoffs, who was to say it could’ve paid off as handsomely as it did? Iguodala’s performance throughout these Finals has been masterful, despite LeBron’s insane production through the first three games. A closer look at those stats reveal LeBron shooting 40% from the field, including an objectively horrendous 11-of-35 in the midst of a Game 2 triple-double which nevertheless also begat a Cavs victory. That kind of offense was unsustainable, and given Cleveland’s limited rotation options, the cracks were bound to become canyons. We would be remiss not to mention Iggy’s offensive contributions, which included a co-team-leading 22 points on a tidy 8-of-15 shooting. The other Warrior who scored 22, as you might expect, was Stephen Curry, who seems to have shaken most of the fool’s gold from Matthew Dellavedova’s wings. The league MVP picked his spots and did not shoot his way out of his slump, as some suggested he should have before the game, or shoot his team out of the game, and hitting on four of his seven three-pointers undoubtedly furthered Golden State’s effort. Going small allowed Golden State to return to its fervent, up-and-down-in-the-blink-of-an-eye pace. Whereas the Cavaliers dictated the tempo for the first three games, the Warriors settled into a speedy Game 4 which saw too many early shot-clock misses from Cleveland. While Timofey Mozgov and Tristan Thompson continued to pound the boards, giving the Cavs the overall rebounding edge, Iguodala, Green and Harrison Barnes caused enough fits to elicit a Mozgov-Joey Crawford interaction. Green and Barnes finding their strokes, in particular, facilitated the Golden State renaissance. For the first time all series, Game 4 looked like a Golden State Warriors game. The Warriors settled in, The best player in the world has stumbled, two wins from the finish line. The Cavaliers, already searching for relief, cannot live with James Jones going scoreless and J.R. Smith puking out a 4-point, 4-personal foul line. The Warriors have re-loaded, and Steve Kerr reacted as necessary. How David Blatt plans to react, if at all, may determine the outcome of this series, which has suddenly become a best-of-three and is heading back to Oracle Arena. Crestfallen Cavaliers fans, so joyous after Game 3, had hoped to see a champion crowned if the series resolved itself in Cleveland, and they still may, what with Game 6 scheduled to occur there. The champion crowned, however, may not be their King.